Continuing Education – The Continuing Education page describes our classes for Building Managers and Maintenance Engineers. We also offer continuing education classes for insurance adjusters. Our classes are certified by the State of Texas. Videos – We’ve included Videos so you can see how roofing happens. Case Studies – There are many different types of roofing materials and systems for a variety of building types. This provides an opportunity for us to tell about our experiences. From re-roofs to maintenance repairs, the Case Studies page is an educational resource for other roofers, consultants, adjusters and building owners. Glossary of Terms – Like most industries, roofers have our own language of jargon and technical terms, too. The Glossary of Terms page clarifies the meaning or usage of many of the words you may see on a proposal or repair report. Frequently Asked Questions – Our FAQ’s page is here to provide answers to common questions. If you don’t see your question here, call to speak to a professional. 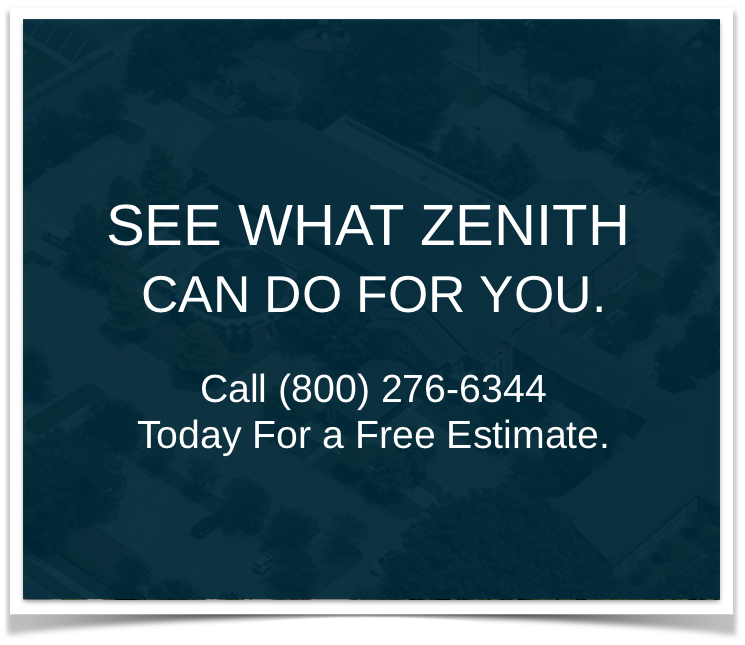 Safety – Zenith is committed to safety for our workers as well as a safe site for our customers. This is just a brief description of our safety program.